Earlene Boles married Reverend Milton Scott Bagwell, son of Burch Dillard Bagwell and Etta Lee Walker, in 1954. Allison Scott Bagwell is the son of Reverend Milton Scott Bagwell and Earlene Boles. Ellen Genetta McHenry was born on 5 June 1923 in Putnam County, Tennessee. She married Walter Fred Bagwell, son of Burch Dillard Bagwell and Etta Lee Walker, before 1951. Ellen Genetta McHenry died on 21 July 2009 in Cookeville, Putnam County, Tennessee, at age 86. She was buried at Souble Springs Cemeter, Double Springs, Putnam County, Tennessee. Genetta Bagwell is the daughter of Walter Fred Bagwell and Ellen Genetta McHenry. Genetta Bagwell married Myke Holt before 1971. Myke Holt married Genetta Bagwell, daughter of Walter Fred Bagwell and Ellen Genetta McHenry, before 1971. Mary Ellen Bagwell is the daughter of Walter Fred Bagwell and Ellen Genetta McHenry. Mary Ellen Bagwell married David Stoltz before 1976. David Stoltz married Mary Ellen Bagwell, daughter of Walter Fred Bagwell and Ellen Genetta McHenry, before 1976. John Bagwell is the son of Walter Fred Bagwell and Ellen Genetta McHenry. John Bagwell married Lou Ellyn (?) before 1980. Lou Ellyn (?) married John Bagwell, son of Walter Fred Bagwell and Ellen Genetta McHenry, before 1980. James Otis Pruden married Elora Bagwell, daughter of Burch Dillard Bagwell and Etta Lee Walker, before 1951. Sophia Sapp married Dovin Hugh Bagwell, son of Levi Bagwell and Elizabeth Garris, on 8 June 1873 at Howard County, Indiana. Luther Anderson Overby was born on 9 February 1881 in Yadkin County, North Carolina.1 He married Lucille Blanche "Lucy" Bagwell, daughter of William Henry Bagwell and Nancy A. Bush, on 20 November 1906 at Jackson County, Indiana.1 Luther Anderson Overby died on 9 August 1942 in Dekark, Illinois, at age 61 Worked as a blacksmith possibly for the Rail Road. The family name was originally spelled Overbey but the "E" was dropped from the name sometime after 1900. On Nov 20.1906 in Jackson Indiana he married Lucy Blanche Bagwell. Maxine Bagwell is the daughter of George Franklin Bagwell and Almeda Jane McCallister. Stan Zirkle married Benita Bagwell, daughter of Blaine Greentown Bagwell and Bonnie Redinbaugh, after 1950. Lucinda Davis Crocker was born circa 1839 in South Carolina. She married James W. Bagwell, son of John Littleton Bagwell and Rebecca "Sally" McAbee, before 1856. Lucinda Davis Crocker died on 7 May 1865 in Spartanburg County, South Carolina. Calvin W. Bagwell was born on 5 September 1856 in Spartanburg County, South Carolina. He was the son of James W. Bagwell and Lucinda Davis Crocker. Calvin W. Bagwell married Mary Adaline Steading before 1879. Calvin W. Bagwell died on 4 September 1899 in Spartanburg County, South Carolina, at age 42. He was buried at Bethlehem Baptist Church Cemetery, Moore, Spartanburg County, South Carolina. Mary Adaline Steading was born on 11 August 1859 in Pickens County, South Carolina. She married Calvin W. Bagwell, son of James W. Bagwell and Lucinda Davis Crocker, before 1879. Mary Adaline Steading died on 12 June 1916 in Spartanburg County, South Carolina, at age 56. She was buried at Bethlehem Baptist Church Cemetery, Moore, Spartanburg County, South Carolina. James William Augustus Bagwell was born on 10 July 1879 in South Carolina. He was the son of Calvin W. Bagwell and Mary Adaline Steading. 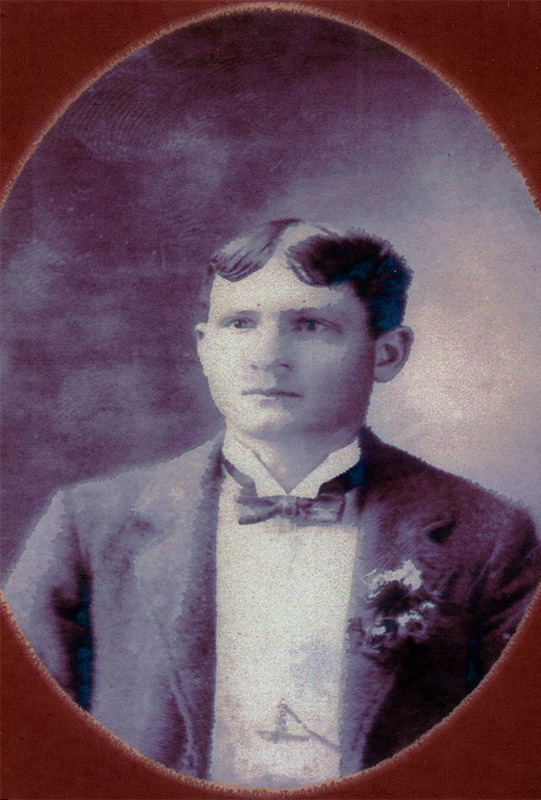 James William Augustus Bagwell married Clevia L. Riddle circa 1903. James William Augustus Bagwell died in October 1962 in Spartanburg, Spartanburg County, South Carolina, at age 83. He was buried at Greenlawn Memorial Gardens, Spartanburg, Spartanburg County, South Carolina. Clevia L. Riddle was born in November 1886 in South Carolina. She married James William Augustus Bagwell, son of Calvin W. Bagwell and Mary Adaline Steading, circa 1903. Clevia L. Riddle died on 19 December 1970 in South Carolina at age 84. She was buried at Greenlawn Memorial Gardens, Spartanburg, Spartanburg County, South Carolina. James Edward Bagwell was born on 10 January 1932 in Spartanburg County, South Carolina. He was the son of Horace Lewis Bagwell and Annie Lee Hyatt. James Edward Bagwell married Marianne (?) after 1946. James Edward Bagwell died on 2 October 1991 in Spartanburg, Spartanburg County, South Carolina, at age 59. He was buried at Fairforest Baptist Church Cemetery, Spartanburg County, South Carolina. Myrtle Marie Bagwell was born on 25 November 1907 in South Carolina. She was the daughter of James William Augustus Bagwell and Clevia L. Riddle. Myrtle Marie Bagwell died in September 1973 in Spartanburg, Spartanburg County, South Carolina, at age 65. George Washington Bagwell was born on 15 November 1880 in South Carolina. He was the son of Calvin W. Bagwell and Mary Adaline Steading. George Washington Bagwell married Ollie Inize Alley before 1902. George Washington Bagwell died on 11 January 1951 in Spartanburg, Spartanburg County, South Carolina, at age 70. Ollie Inize Alley was born in 1883 in South Carolina. She married George Washington Bagwell, son of Calvin W. Bagwell and Mary Adaline Steading, before 1902. Ollie Inize Alley died on 23 June 1932 in South Carolina.